Thinking about the body in contemporary art leads easily to an exaggerated focus on extremities and excess. Beginning from Pier Paolo Pasolini’s violently radical life, and ending up in Martin Jay’s critique of Richard Shusterman’s somaesthetics, the first part of this article discusses different conceptions regarding the role of the body in art. I aspire to show the need to rearticulate the role of the body in contemporary art. In the second part of the article I will turn the focus to rather small or moderate acts of political art, where artists put themselves and their bodies at stake. My aspiration is to bridge somaesthetics to one of the major trends in contemporary art, the practice of political and social work. 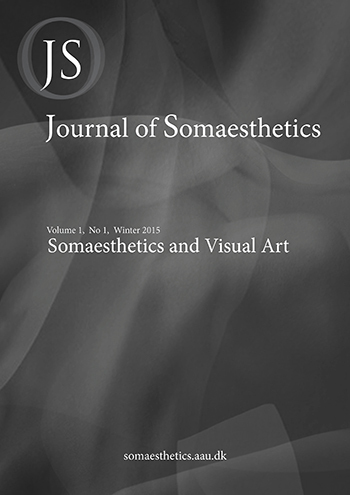 Through its interest in the golden mean and everyday life, somaesthetics provides a resonate philosophical frame for discussing performances and events typical for e.g. community art and political activist art, where the body, I claim, has an important, though quite unnoticed role. If excerpts, tables, figures, charts, artwork or photographs from other copyrighted works are included in an article, it is the author’s responsibility to obtain written permission from the copyright owners and credit the source’s in the article and citation list.